What happens to your staff when they go abroad for holidays? Hong Kongers are exceptionally thrilled about the upcoming Lunar New Year, which gives the working class the privilege of enjoying an amazing nine day break while only having to apply for two days off (February 11 and 12). Most professionals in Hong Kong are so stressed out from work that its not surprising that quite a significant percentage are planning on hopping on a plane straight from work to get to their holiday destinations. 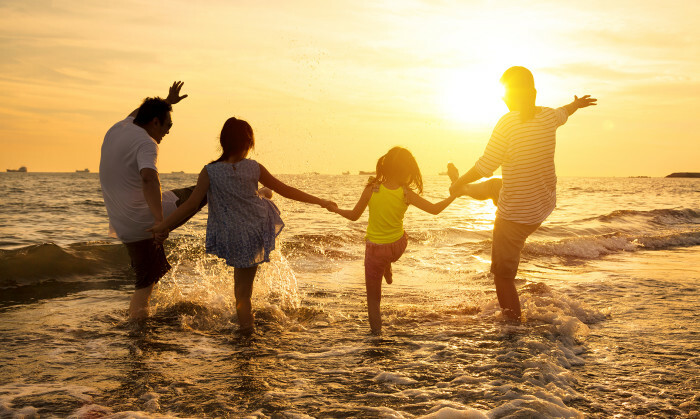 Going away for holiday is certainly a great way to blew off steam but research from travel agency Club Med shows that the anticipation for going on a break, adds to one’s stress levels and weakens the immunity system. When one feels excited, more adrenaline is sent into the nervous system, increasing one’s heart rate and blood pressure, and as a result, reduces immunity. The research pointed out that as many as 20% of travellers suffer from post-flight cold because their weakened immunity system makes them vulnerable to diseases. For one in 30 holiday makers, the sudden transition from stress to relaxation causes ‘leisure sickness’, making them complain of colds, stomach aches and high blood pressure. Upon arriving at destination, almost half of the respondents in the research felt relaxed but the other half took longer. By day 5, travellers start to recover from the stress, feeling a lower level of exhaustion and higher level of engagement – mainly also due to the fact that holiday goers get an extra hour’s sleep compared to at home. While travellers return happier and are more refreshed, the study also found that most people return to their usual stressed self again, approximately four weeks after returning from holidays. “By day four on holiday your body is completely relaxed, but to get to that point it seems we put our bodies through a lot of stress. Holidays are a great mood booster, especially the anticipation of booking,” Estelle Giraudeau, managing director at Club Med UK told The Mirror. “When you return from holiday, research shows we keep the feel-good notion for a few weeks, before finally relapsing into our pre-holiday state within four weeks of our return.” she added.